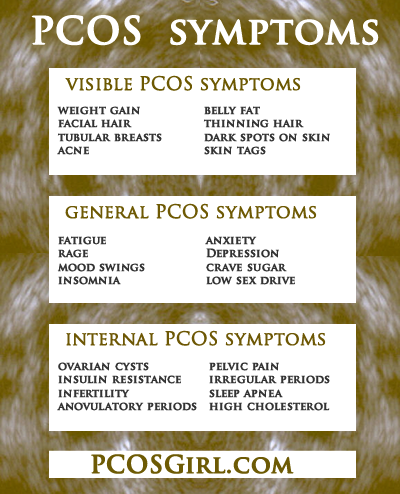 This entry was posted in PCOS, PCOS Symptoms & Meds and tagged pcos symptoms, signs of pcos. Thank you so much for this website! I was just diagnosed with this. It’s always good to hear from someone who can relate. You’re a life saver! No problem! That’s how I felt before this website. No one knew anything, no one understood. I love researching, talking to doctors and actually finding solutions that improve the symptoms!! And I’m glad so many people can relate- I’m not alone!!!! Hopefully your doctor can order some bloodwork and test your hormone levels, insulin, dhea, thyroid and get you on a great treatment plan!! Supplements, diet, exercise, acupuncture and meds can all help! I have 8 of the above symptoms, including tubular breasts. I am going to schedule an appt with the doctor. Omg! I did not know all those were related symptoms! Maybe now I can start to understand my body. Great! Glad to help another PCOS girl out! Keep us posted on any success with treatments, diet, etc. I just realized my cyst were back after peeing every 30 minutes or hour and ance and can’t sleep and no energy but have fibromyalgia and arthritis and fatigue bad. Oh no! So sorry! Not sure what country you’re in but have you looked into Vidacell/Cellular PSP? It might help with you Fibromyalgia. I was diagnosed with PCOS 10 yrs ago by my Naturopathic Dr during my very first visit to him, he just looked at me and then read my symptoms..My Ob-Gyn said it wasnt anything serious itll pass during menopause. I had irreg periods so freq my Dr put me on birth control, which in turn I developed a massive blood clot resulting in a life star ride and emergency surgery. I became anemic, eventually ended with me getting a hysterectomy! The PCOS symptoms are worse now than ever. I’ve gained weight, have thinning hair, acne and dark spots that I never had before. I joined Weight Watchers in July, walk 5 miles a day, 4-6 days per week and am mindful of my sugar intake. So far I’ve lost 5lbs, trying not to get discouraged… Not sure where to go from here though would love any feedback! I’m so sorry! Soo many of us are going through the same thing. Have you read up on Iodine or Progesterone Cream? Exercise is so frustrating as I also don’t lost weight easily- but I have found that I lose more weight if I workout in the evening after my last meal. I also start my mornings off with citrus, for some reason that helps. Keep up the good work- it will eventually pay off.